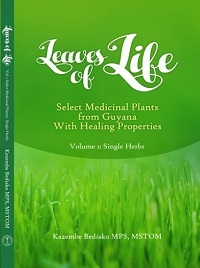 This timeless wonder of over a hundred herbs reveals the true secrets of its tropical vegetation to the traditional “Bush Men”, the individuals who make their living off the local plant lore. These secrets have eluded European explorers like Walter Raleigh, the first European to record the existence of curare, a paralytic, plant-derived poison used in fishing and hunting in Guyana. Curare causes death by asphyxiation through the loss of control of muscles essential in respiration and is used in modern medicine as a muscle relaxant for shock treatment of mental illness, and as an adjunct to anaesthesia in heart surgery.